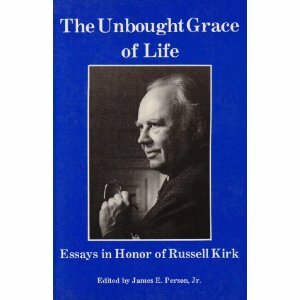 The Unbought Grace of Life: Essays in Honor of Russell Kirk, edited by James E. Person Jr. This Festschrift was in galleys when Russell Kirk‘s health began failing. On learning of Kirk‘s decline, Sherwood Sugden photocopied the galleys and mailed them to Mecosta. The editor, James Person, a close friend of the Kirks, made the long trek to Piety Hill hoping to present the finished book to Dr. Kirk before his death. Happily, Dr. Kirk was energetic enough to peruse it, and was pleased. He had reason to be. There are rare criticisms, gently made. John Lukacs notes “Russell’s tendency to see his larger political and philosophical principles absorbed and incarnated by temporarily important but, in reality, ephemeral political figures.” But this is unimportant, as Lukacs adds- and, in truth, is merely misplaced Kirkian generosity. Kirk’s friends testify to his keen interest in “the rising generation,” on whom he lavished a mentorship that can only be called loving, in the faith that they could “redeem the time.” The Politics of Prudence (1993) exhorts them to this urgent task, and offers shrewd advice for it. As its title implies, the Festschrift’s second part, “Redeeming the Time,” occupying two-thirds of the book, addresses Kirk’s concern. Redemption entails, first, a clear awareness of the sins and perils to be redeemed from. One is a “conservative” Supreme Court which, as William Bentley Ball reveals, has been undermining religious liberties. Anthropologist Grace Goodell explores another: government paternalism that saps its recipients’ character. 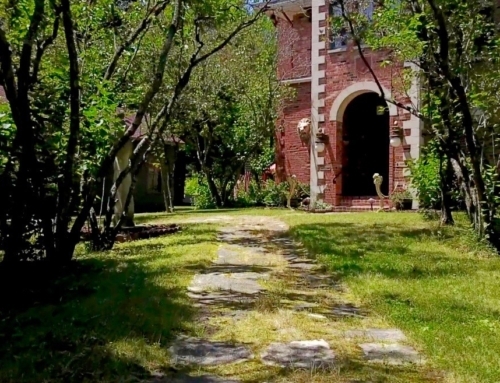 One path of redemption, Kirk realized, lies in cultural works witnessing for the permanent things, and Cleanth Brooks demonstrates poetry’s affirmative power. Another is a clear and precise sense of the significations of concepts. Kirk knew it well; three of his books, Henry Regnery notes, are “essays in definition”: The Conservative Mind; Academic Freedom: An Essay in Definition; and The American Cause. 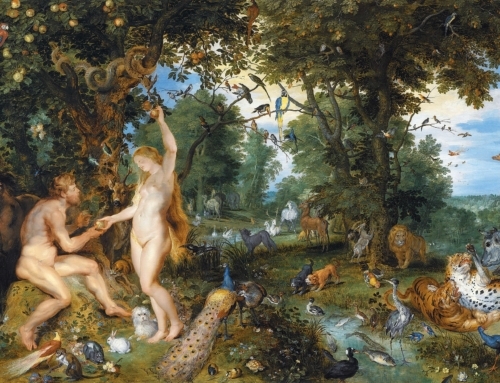 In “Virtue: Real and Imagined,” an outstanding and important essay in its own right, Claes Ryn carries on Kirk‘s work, lucidly distinguishing the true virtue of love of neighbor from the spurious Rousseauean expansive compassion for all humanity, and showing how different institutional arrangements reflect these differing conceptions of virtue. Ryn ably depicts the complex interactions of small groups and individuals, and how each affects the character of the other. Some non-Kirk essays, however, don’t hew to their section’s theme of “redeeming the time,” thus marring the book’s integration. These essays could have been omitted without loss, and the space gained used to yield a fuller portrait of Kirk. For example, explication and evaluation of his economic thought would have been enlightening. 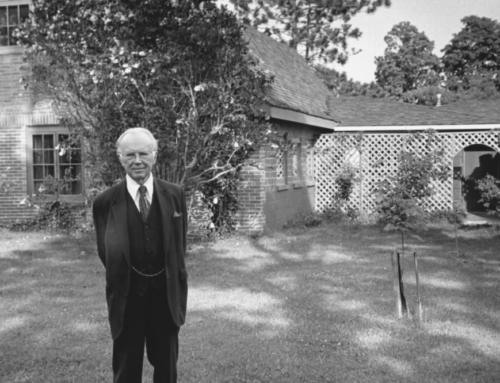 While he upheld private property and markets, his loyalty, like Roepke’s and Babbitt’s, flowed from spiritual and humanist concerns, not worship of efficiency. But all in all, The Unbought Grace of Life is a worthy tribute to a great man. May it be the first of many. Books on or by Dr. Kirk may be found in The Imaginative Conservative Bookstore. Reprinted with the gracious permission of Modern Age (Winter 1997). 1. Telephone conversation with this reviewer. 2. M. D. Aeschliman, “Natural Law or Nihilism?”, The Unbought Grace of Life, 83-84. 3. 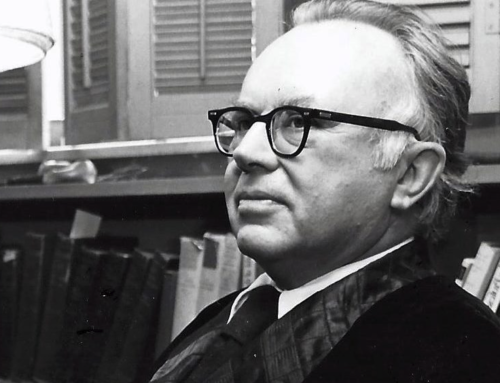 Jeffrey Hart, “The Importance of Russell Kirk,” The Unbought Grace of Life, 66. 4. Peter J. Stanlis, “Russell Kirk Memoir of a Friendship,” The Unbought Grace of Life, 38. 7. Henry Regnery, “Russell Kirk: An Appraisal,“ The Unbought Grace of Life, 29. 9. Forrest McDonald, “Russell Kirk: The American Cicero,” The Unbought Grace of Life, 15. 11. Irving Louis Horowitz, “Russell Kirk: Past as Prologue,” The Unbought Grace of life, 55-56. 14. Editor’s introduction, 3; Stanlis, 48-49. 15. Cecilia A. Kirk, “‘The Box of Delights’: A Literary Patrimony,” The Unbought Grace of Life, 64-65. 16. Andrew Lytle, “The Terrors of the Soul,” The Unbought Grace of Life, 87-90. 17. John Lukacs, “An Exceptional Mind, An Exceptional Friend,” The Unbought Grace of Life, 53. 18. See, e.g., Regnery, “Russell Kirk: An Appraisal,” 29.